We all are aware of the fact that influencer relationships have a very vital role in any career or business plan. You have to find out and develop the right kind of relationships which can help you move forward towards achieving your goals and objectives. 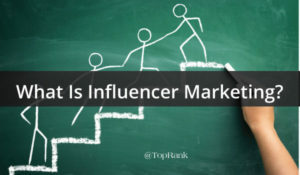 You also need to understand that there are some influencer relationships which will be even more vital than the others and they are called the Anchor influencers. The ability to reap benefits from Anchor influencers is true irrespective of the size of the business. Anchor influencers help you accelerate the entire process of spreading the message and offer external validation, even when you’re a big shot company. When you have lots of money, you can even pay for their attention but gaining personal engagement and passion will be invaluable. Anchor influencers who are engaged with your company can play the role of a rocket fuel for realizing your content marketing efforts. The kind of payoff that you get is for actively sharing a great piece of content which you produce. When you create great content, you have to share it on all the social media channels and spread them. If you think that the content is linkworthy, you have to share it in social media channels and obtain additional links and shares. When influencers share it, they play the role of accelerants due to their high value of independent validation. For any digital marketing strategy, anchor influencers can indeed be a strong part. You have to develop good and harmonious relationships with your audience so that you can help them be on track.